He hears voices, but it's a good thing. A master of impressions, Caliendo says he takes the silly approach when it comes to impersonating President Donald Trump. Frank Caliendo says he was influenced by comedians who could morph into several characters, like the late Robin Williams and Jonathan Winters. Sports titans John Madden and Charles Barkley have so much in common with Presidents Trump, Clinton, and Bush. They all share precious real estate in the creative and adventurous mind of master impressionist and comedian Frank Caliendo. Of course, Al Pacino, Robin Williams, the entire cast of Seinfeld, and a bold mix of various sports commentators and figures have been known to take turns showing up, too. 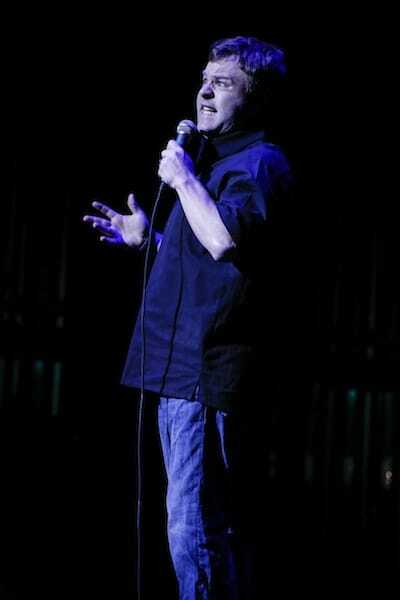 In that respect, Caliendo’s July 7 show at Morongo Casino and Resort Spa promises to be robust with a memorable mix of the MAD TV alum’s most outlandish impressions with some stand-up tossed in for good measure. Caliendo recently shared his comedic journey with Palm Springs Life. PSL: We are both from the Chicago area. 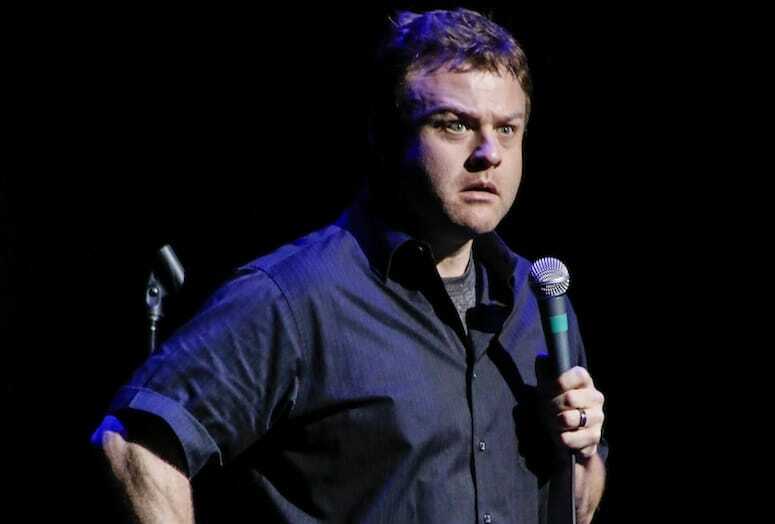 Frank Caliendo: Born in Chicago, raised in Milwaukee, but all of my Italian relatives that I can — and cannot — talk about still live there. PSL: How would you say the Midwest influenced your creative life, especially comedy? FC: I have a basic Midwestern sense of humor. It’s self-deprecating and silly, but I’m not overly sarcastic or in your face. A lot of my stand-up and impressions all come from being a kid who didn’t do much outside. I watched a lot of TV and movies. PSL: When did it hit you; that this was what you had to do? FC: I went to the School of Broadcast and Journalism and what I really wanted to do was be on TV somehow. I loved Jonathan Winters and Robin Williams. My goal was to get on a television talk show and sit on the chair. But I remember taking a comedy-sports-improv class and they said, “You should get up on stage and try stand- up; you seem you would be able to do stand-up and impressions really well.” I never wanted to be an actor. I never wanted to be a talk show host. I always wanted to be a talk show guest. I liked answering questions in silly ways. PSL: Let’s talk about your impressions. Is there anybody you do or have done that is, or has been, more difficult to master? FC: People think I am a sorcerer. But there are plenty of people I can’t do. And people think you can just master any impression, but it doesn’t work like that. You have to really work at it. I mean, for President Obama, it took me a while to realize that, for impersonating him, it was all about the cadence. Same with William Shatner. Lately, I’ve been working on the acting, and it’s changed my act a bit; slowed it down. I’ve been asking different questions of myself, rather than just getting up there and doing impression after impression. I talk around those impressions more now and have some fun talking about the people as well. VIDEO: Watch a mishmash of voices performed by impressionist Frank Caliendo. (Video courtesy of Frank Caliendo). PSL: Who do you find most amusing these days? FC: President Trump is interesting. I take the silly approach with him. Alec Baldwin’s take is that Trump is just miserable and ridiculous. I walk the middle-of-the-road. It went from doing an impression I did of him for about 20 seconds three years ago to 10 percent to 15 percent of the show now. PSL: You mentioned some of your earlier influences; people who help shaped the direction you would go. FC: Yes. I liked people that did multiple characters. Dana Carvey, Phil Hartman, Jim Carrey. That was the most fun to watch. That’s why I liked Winters and Williams. I loved that shape-shifting ability of the characters. PSL: What do you love most about what you do? FC: It’s always good to be able to make people laugh. That’s one of the best parts of it. PSL: And what’s some of the best advice you’ve been given about life? FC: Don’t take it too seriously. Pay attention to what’s going on in your own life and don’t look over your shoulder at what’s going on with other people. You’ll drive yourself crazy. Enjoy yourself.